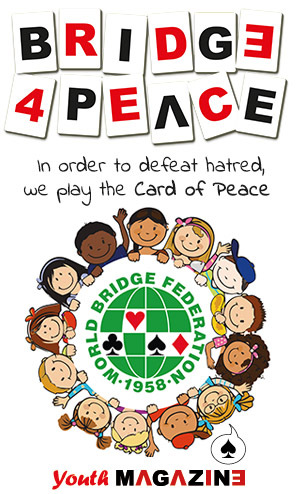 Competitions for the IOC Grand Prix were launched in 1998, to support the effort of the WBF to introduce bridge in the Olympic Games. 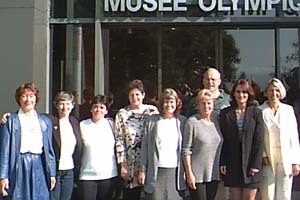 Top class national teams were invited to represent the globe in a competition played annually at the Olympic Museum, in Lausanne, Switzerland. The Grand Prix was usually contested in two series, open and women, but a Junior series was added later. The event was repeated in 1999 and 2000, and then again in 2002 when it took place in Salt Lake City, Utah, USA  site of the 2002 Winter Olympic Games. It has since been discontinued. After one of the most dramatic finals in the history of bridge, Brazil and China tied in the Grand Prix competition organised by the International Olympic Committee. The Grand Prix started on Monday 7 September 1998 with 6 countries participating: the Bridge Olympiad winners France, Italy, USA, Poland, Brazil and Far East winners China. The format was a simple Round Robin of 24-board matches which was concluded in 3 days. The top two teams, Brazil and China, advanced to the 72-board final. 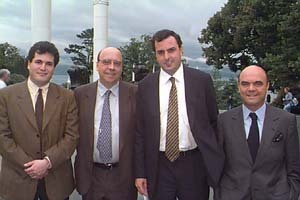 BRAZIL: Gabriel CHAGAS, Marcelo BRANCO, Miguel VILLAS BOAS, Joao Paulo CAMPOS. 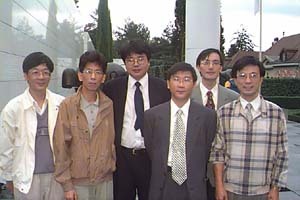 CHINA: WANG Weimin, HU Jihong, DAI Jianming, SHI Haiojun, XU Hongjun, ZHUANG Zejun. To check all the information of this championship, please click to see the site. 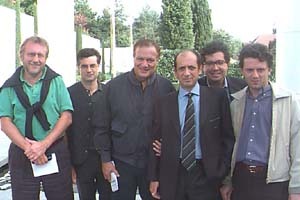 The Grand Prix started on Monday 20 September 1999 with 6 countries participating in the Open Team event: Brazil, China, France, Italy, The Netherlands and USA. There was also a Women’s Contest in which a European Team comprising Auken-von Arnim (Germany), Bessis-d’Ovidio (France), Davies-Smith (Great Britain) and Van der Pas-Vriend (The Netherlands) has faced the North American Team of Breed-Quinn, Goldberg-Pollack, Berkowitz-Sanders and Deas-Palmer. After a 5-day battle the Olympic Grand Prix was concluded with the closing ceremony on Friday 24 September 1999 with the President of the IOC Juan Antonio Samaranch, and the Vice President Marc Hodler present. 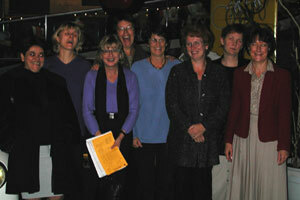 Italy and Europe’s women duly completed the victories that were on the cards the day before. Both our champions were in irresistible form, and they had to be in order to defeat such outstanding opponents as Brazil and North America. France won the play off for third place and that left China fourth. The 3rd Grand Prix was organized by the World Bridge Federation under the auspices of the International Olympic Committee. 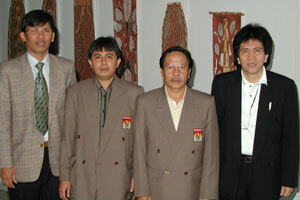 INDONESIA surprised the world audience winning the 3rd IOC Grand Prix and capturing the GENERALI Trophy. After finishing second in the qualifying stage, they beat the powerful USA squad in the semifinals and prevailed over the Olympiad gold medal holders ITALY on the penultimate board of the final. The programme of the IOC Grand Prix also included a women’s contest which was won by a mutli-national EUROPEAN team after a fierce battle – but with a small margin – against a NORTH AMERICAN team. In one of the best played and most exciting finals of recent years, Canada, represented by Keith Balcombe, Gordon Campbell, Nicholas Gartaganis, Fred Gitelman, Peter Jones and Joseph Silver defeated Poland’s Cezary Balicki, Michal Kwiecen, Jacek Poletylo, Jacek Pszczola, Marek Wojciki and Adam Zmudzinski, Alicja Kornasiewicz, (Captain) to win the fourth IOC Grand Prix for the Generali Trophy. Italy easily won the third place play-off against Norway. A brilliant display saw France, Véronique Bessis, Bénédicte Cronier, Catherine D’Ovidio and Sylvie Willard score an emphatic victory over USA, represented by Mildred Breed, Amalya Kearse, Jill Meyers, Sharon Osberg, Shawn Quinn, Kerri Sanborn, Rose Meltzer and Peter Weichsel (Coach). Third place went to The Netherlands, who defeated Germany. In the Junior Teams Americas, Augustin Madala & Carlos Pellegrini, Joel Wooldridge & John Hurd tied with Europe North, Bas Drijver & Sjoert Brink Andreas Marquardsen & Martin Schaltz.